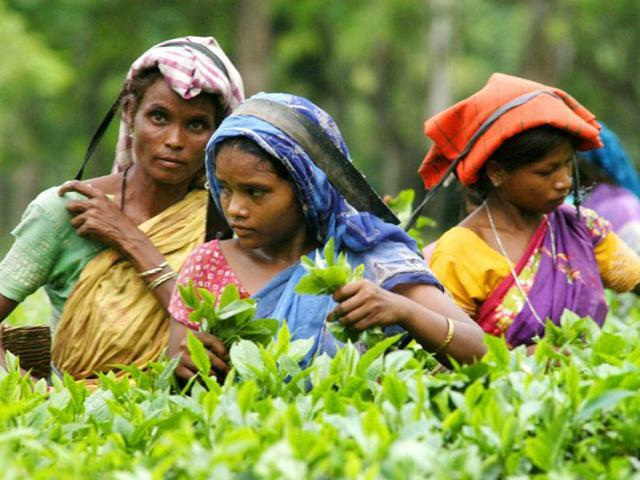 Tea trade unions today said the Centre and the RBI should first take steps to develop banking infrastructure in all tea estates of north Bengal and then move ahead to send workers' wages to their bank accounts. The move, they said, follows the absence of banks or similar infrastructure like extension counters, customer service points or ATM counters in the tea estates. "The central government and the RBI have come up with the directive that wages of tea workers should be transferred to their bank accounts. But none of the tea estates in this region has a branch of any bank," Ziaur Alam, the convener of Joint Forum, said today. According to him, the banks should first develop infrastructure in each tea garden. "Until then, workers' wages should be disbursed in cash, as it has happened so far. The central government and the RBI should understand that it would be a cumbersome task for tea workers to travel four-five kilometres to the nearest bank. In the case of some tea estates, the nearest bank is around 20km away," he said. Trade union leaders, who held a meeting here yesterday, said most of the workers will lose a day's earning just because they will have to go to a bank several kilometres away to withdraw their wages. "A worker will have to spend six-seven hours to get his money from a bank. This means he cannot do his day's work in the garden and will lose the wage. The Centre has not spelt anything out on this issue so far and workers are confused. Also, unless the banks set up infrastructure in tea estates, the rate of absenteeism is likely to climb, posing a fresh problem for the industry," Mani Kumar Darnal, the joint general secretary of Intuc-backed National Union of Plantation Workers, said. In the Terai, there are tea estates such as the Girish Chandra and Hansqua from where the nearest bank is five to seven kilometres away. Similarly, in the Dooars, workers of tea estates such as Central Dooars and Makrapara have to travel around 20km to reach the nearest bank. "The situation is no different in the Darjeeling hills. Many tea estates are in remote areas and workers will have to travel at least four to five kilometres uphill to reach a bank," a senior trade union leader based in Siliguri said. The RBI had recently issued a directive that tea workers should have bank accounts where their wages would be transferred. This has complicated the situation, mentioned the trade union leaders. "A section of tea gardens have already opened bank accounts of their workers on the basis of the directive and to avoid any trouble in wage payment. But this does not solve the problem of workers. We also apprehend that they might fall prey to middlemen and lose their earnings as most of them do not have any idea about the banking process," a union leader said. The Joint Forum, Alam said, has decided to hold demonstrations next week. Their demands are dual - the cash payment of wages should continue and banks should set up infrastructure in gardens. "On November 12, workers will organise meetings at the entrance of each tea garden. In case the Centre and the RBI insist that cash payment will not be allowed any more, we will hold sit-ins in front of all central government offices and banks in areas near tea estates," he said. Since the Centre has taken up the task of demonetisation, this is the first time that tea trade unions have openly started opposing the directives made by the RBI on payment of tea wages. Senior officials of banks, based in north Bengal, also pointed at some of the potential problems. "Most of the branches of banks that are closest to tea estates are rural branches and do not have adequate manpower. Now if a branch has to suddenly handle, say, 5,000 new accounts (workers accounts of two to three gardens), the workload will increase," a senior manager of a nationalised bank posted in Siliguri, said. "Also, considering the cash crunch in these days, it is tough for such branches to disburse payments to all these people at one go. Most bank branches are already finding it difficult to meet the demands of their existing customers," he added. The only way to ease this process, they said, is expansion of banking infrastructure. "There are certain parameters like the scale of deposits, vis-à-vis withdrawals, number of customers which the bank management considers before introducing a new facility like extension counter or a customer service point. It would take time for banks to make such decisions," another bank official said. There is another problem. A tea company keeps its deposits or carries out transactions with a bank which does not have any branch close to the estate. As some gardens have taken up the task of opening workers' accounts, they have found that workers are insisting on opening accounts at the nearest bank. "This would further complicate the distribution of wages. In fact, representatives of such branches have informally told some of our members in the Dooars to speak with banks where they have deposits so that such banks open counters at the gardens," S. Guha Thakurta, the secretary of the Dooars Branch of Indian Tea Association, said. The tea association representative, who has already written to the district magistrate of Jalpaiguri, requesting intervention, said the reverse is also true.